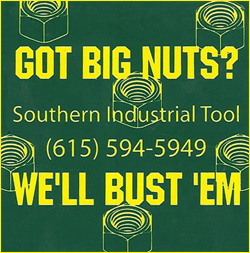 Southern Industrial Tool reduces job time and improved safety to a wide variety of industries including the United States Military, power generation, steel production, oil and gas production, manufacturing, chemical, aluminum production, quarry, aero-space, bridge and heavy construction, steel erection, wind power generation, pipeline installation and maintenance, and petrochemical production. 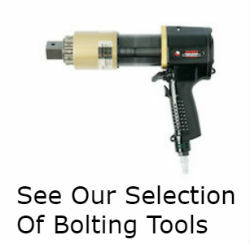 RAD torque wrenches, including pneumatic torque wrenches, battery torque wrenches, electric torque wrenches, electronic torque wrenches, heavy hex sockets, E-Rad electronic torque wrench. repair and calibration service. TorsionX torque wrenches including hydraulic square drive torque wrenches, low clearance hydraulic torque wrenches, electric hydraulic torque wrench pumps, pneumatic hydraulic torque wrench pumps, repair and calibration services and deep well sockets. 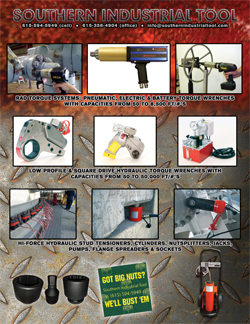 Hi-Force hydraulic tools, including a wide range of multi-purpose low height cylinders and multi-purpose cylinders, manual operated hydraulic pumps, electric hydraulic pumps, pneumatic hydraulic pumps, hydraulic hoses, hydraulic jacks, bottle jacks, manual torque wrenches, manual torque multipliers, hydraulic bolt tensioners, hydraulic bolt stretchers, lifting equipment, sub-sea hydraulic bolt tensioners, hydraulic bolt tensioner pumps, hydrotest pumps, hydraulic pullers, hydraulic crimpers, hydraulic cutters, hydraulic rope and cable cutters, hydraulic hole punchers, hydraulic nut splitters, hydraulic nut busters, hydraulic flange spreaders, hydraulic pipe benders, multi-roller steerable skates and male hex sockets.